It would be nice to if you could get all your gross wages on payday, but because federal taxes are a must, they're taken out of your paychecks before you're even paid. Federal income tax, Social Security tax and Medicare tax are all federal taxes. The amount your employer is supposed to withhold depends on the type of tax. Federal tax rules support several scenarios that affect your withholding. Generally speaking, you can determine how much money is withheld for federal traces on your paycheck by review Form W-4 provided to you by your employer. Your taxes per paycheck are based on the IRS Circular E tax table that goes with your wages, pay period and the allowances and filing status you put on your W-4. The Circular E wage bracket method gives the exact amount to withhold based on that data. If your wages exceed the wage bracket’s limit, the percentage method must be applied. For the 2017 tax year, your wages per paycheck are subject to Social Security tax of 6.2 percent, up to the annual wage limit of $127,200. In 2018, the percentage is still 6.2 percent, but the wage cap was changed to $127,700. For example, if you earned more than the annual wage limit of $127,200 in 2017, you were supposed to pay $7,886.40 in Social Security tax. In 2018, you would pay $7,917.40 on the same amount. You also pay Medicare tax at 1.45 percent of all your wages. When you reach the annual threshold for Social Security tax, your employer is supposed to stop the withholding. If you change jobs during the year, your new employer is supposed to withhold Social Security tax without regard for what your past employer deducted. If you overpaid the tax as a result, you may claim a refund when you file your return with the IRS on Form 1040. On line 69 of the form include the excess amount. The tax brackets for 2018 are 10 percent, 12 percent, 22 percent, 24 percent, 32 percent, 35 percent and 37 percent. The size if the bracket depends on whether you're married or single, and whether you're in a bracket depends on how much gross income you have after subtracting withholding allowances. Because the brackets are cumulative, you pay graduated percentages that are added up for your total tax. 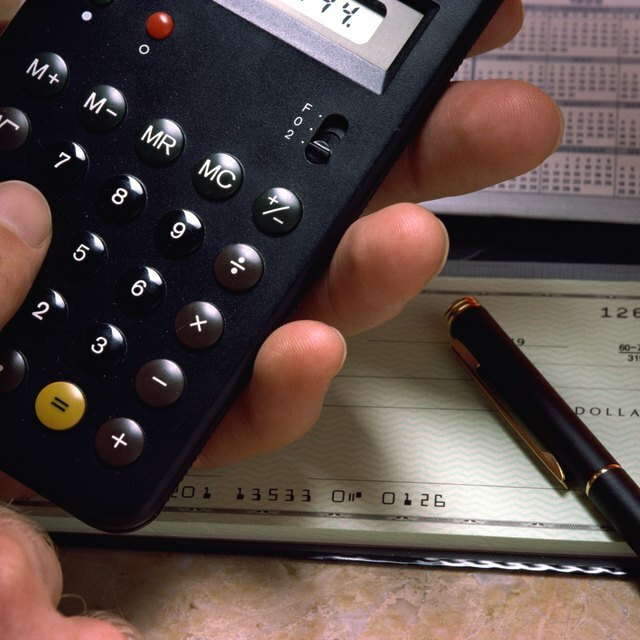 An IRS tax calculator could be useful in determining your tax withholding. For example, if you're single, you pay 10 percent of the first $9,525 of your annual income; 12 percent of your income between $9,525 and $38,700; 22 percent of your income between $38,700 and $82,500; 24 percent of your income between $82,500 and $157,500; 32 percent of your income between $157,500 and $200,000; 35 percent of your income between $200,000 and $500,000; and 37 percent of all income over $500,000. If you make $200,000, you will be taxed $952.50 (the 10 percent bracket) plus $3,501 (the 12 percent bracket) plus $9,636 (the 22 percent bracket) plus $18,000 (the 24 percent bracket) plus $13,600 (the 32 percent bracket), which equals $45,689.50 in tax for the year. This is broken down over your paycheck depending on how frequently you are paid. The exact amounts are available on the Circular E.
The wage brackets for 2017 are 10 percent, 15 percent, 25 percent, 28 percent, 33 percent, 35 percent and 39.6 percent. Single taxpayers pay according to the Circular E.
Let’s say you earned $70,000 annually in 2017. If you’re paid biweekly, divide $70,000 by 26 biweekly pay periods to arrive at biweekly salary of $2,692.31. Assume that you claim three allowances and single status on your W-4. For the 2017 tax year, the IRS gives $155.80 per allowance for a biweekly payroll. Multiply $155.80 times 3 to get $467.40. Subtract $467.40 from $2,692.31 to get $2,224.91. Then, find the Circular E biweekly percentage method table for single individuals. Your wages after allowances that exceed $1,548 would be subject to a 25-percent tax plus a flat amount of $201.05. Subtract $1,548 from $2,224.91 to arrive at $676.91, which is your excess wages. Multiply $676.91 by 25 percent to get $169.23. Add $201.05 to $169.23 to get total withholding per biweekly paycheck of $370.28.